A mission statement? For a tech team? I know. It’s not an idea that you’re used to yet. But, you see, that’s exactly why we’re on a mission today, a mission to explain to you why it’s so important for both your organization and team to have a mission statement. Are you ready to get started? When companies have well-written mission statements and the discipline to follow them, your average person can see why certain actions are being taken – those actions fall in line with the company’s mission. Using Apple’s mission statement, we can see the tenets of a mission statement come together. – From the mission statement, you can see that the company is working to develop cutting edge technology for software, digital music, mobile phones, and mobile media. 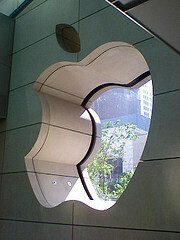 – Apple hopes to achieve this purpose through its Macs, iPods, iTunes, iPhone, and iPods. When you know what you’re doing, why you’re doing it, how you plan on going about it, and whom you hope to affect, it’s easier for your company to stay on track. Apple, for example, knows what they’re hoping to achieve, how they’re working on achieving it, and whom they’re affecting. They can quickly ask whether or not a decision or project aligns with what their company hopes to achieve. Imagine going to your first day of work and having your manager tell you “we’re developing software” and that be it. While that’s a great tidbit of information and all, it’s a broad statement. It doesn’t tell you why you’re developing software, and what you’re hoping to achieve with this software. With a company mission statement like Apple’s, however, your manager may tell you something along the lines of “we’re developing software to improve this functionality of the Mac in order to make it the best personal computer in the world.” You’d probably have a lot more ideas on how to improve this functionality of the Mac than how to create an unspecified piece of software. Some individuals are perfectly content working for a corporate enterprise. All they want is a paycheck. For others, however, they need some sort of motivation. They need to know why they should work for your company and not your competitors. Your mission statement does that. For example, in Apple’s case, one aspect of their mission is to create the best personal computer. Why wouldn’t you want to work for a company that was trying to make the best personal computer in the world? Exactly. You do. Now that we’ve gotten through the importance of a company mission statement, it’s time to turn our attention towards the team’s mission statement. In many ways, a team mission statement is the same as a company’s mission statement. The main differences here is that a team’s mission statement is focused on a subset of individuals, and these individuals are working on a small aspect of the company’s overarching mission. Therefore, while more directed and specific, a team’s mission statement is similar to the company’s in that it needs to be clear and direct. It will state what the team’s objective is, and how it will reach those goals moving forward. If a team writes their mission statement, and it’s not in line with the company’s values, there’s obviously a problem. It needs to be rewritten, and the team’s focus adjusted, so that they’re developing software that aligns with the company’s needs and future vision. 2) A team mission statement ensures that all team members are on the same page. With a written mission statement, the team absolutely knows what they’re working on, and how they’re hoping to achieve that end product. There’s no confusion. Whenever someone gets off track, or the team starts to diverge off their original project, they can go back to the statement and make sure that they’re on the right path. We’re not talking about how nice they look (though if you get it framed, we’ll give you points). Instead, a mission statement is attractive because it gets the team focused and excited. Teams who know what they’re working on, and who can get excited by the software they’re developing are much more productive and engaged. And that’s not just good for you as a manager; it’s also good for the company. A mission statement is imperative for both your organization and team. A company’s statement gives the company a vision, a purpose, and a method of moving forward. Your team’s ensures that you stay in line with the company’s purpose and that your team is highly engaged with what they’re doing. Everyone wins with a mission statement. So what do you think? Ready to implement one with your team? What have your experiences been with team mission statements? Let us know in the comment section, or join the conversation on Facebook, Twitter, Google+ or LinkedIn. Thanks to cbowns for the use of their photograph. ← Failing IT project? Get it back on track!